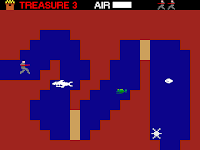 Diver Dan has set out to discover the lost city of Atlantis. 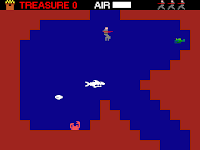 Avoid hazards like poisonous reefs & shoot enemies with your harpoon gun. Keep an eye on your ever depleting air supply & collect air bubbles to restore your supply. 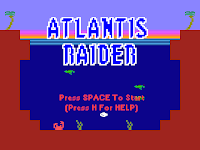 An Atari 2600 styled aquatic action adventure! Can you discover the secret of the lost city of Atlantis..? Dude I love your games a lot! 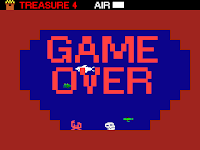 I am newbie on Gamemaker and my first project is a game based (well not based, but Berzerk gave me the initial idea) on a Atari 2600 title. For the most part I am done with the engine but I am pretty awful lvl designing, but I will keep up. 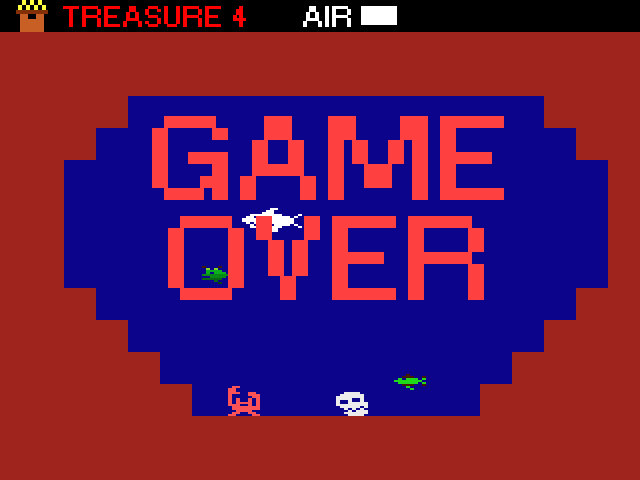 I enjoyed all your games!